Nova Southeastern University, based in Fort Lauderdale with campuses throughout Florida and in Puerto Rico, was launching the new Dr. Kiran C. Patel College of Allopathic Medicine. The mission: to educate the next generation of physician leaders. 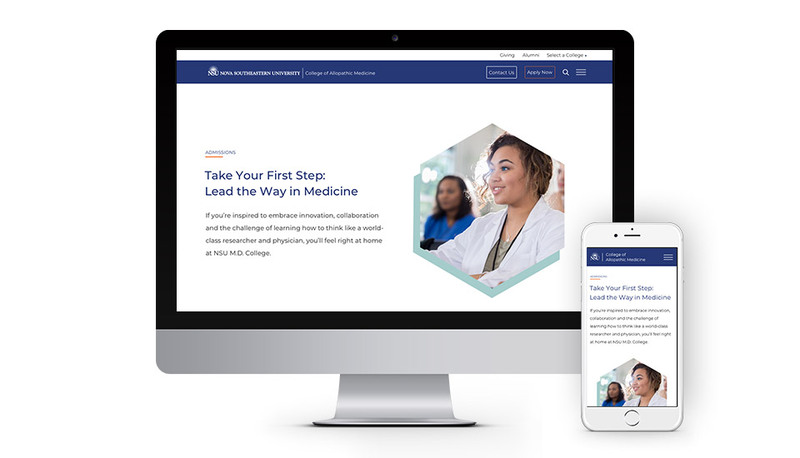 Students would gain a rare opportunity to experience a new model of teaching and practicing medicine that better reflected today’s real-world health issues and tomorrow’s opportunities. NSU MD leaders weren’t worried about attracting enough applicants to its 2018 charter class. Their concern: finding the right applicants nationwide who could succeed in this unique hybrid case- and problem-based MD program. Along with strong grades and test scores, candidates needed a passion for medicine; the drive to lead; teamwork skills; and the discipline to work independently. 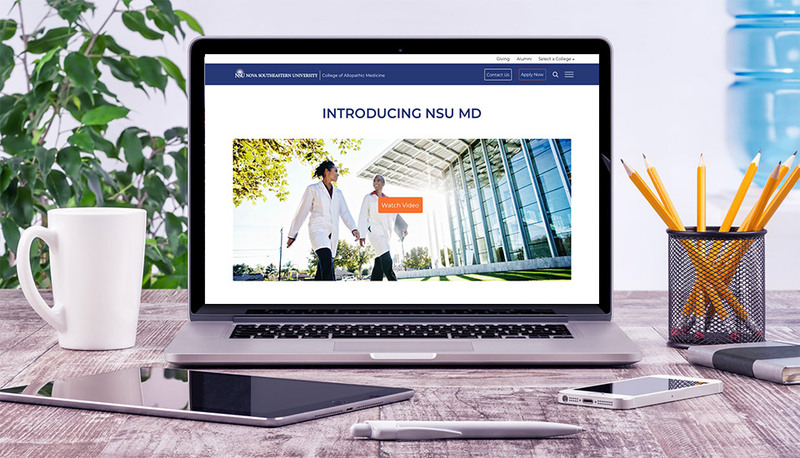 Without existing classes or alumni, the website would be the vision and voice of NSU MD. It had to be as innovative as the program itself, appealing to millennial audiences. Based upon Starmark’s results for other universities, including NSU’s own H. Wayne Huizenga College of Business and Entrepreneurship and Abraham S. Fischler College of Education, NSU MD chose the agency as the best partner. 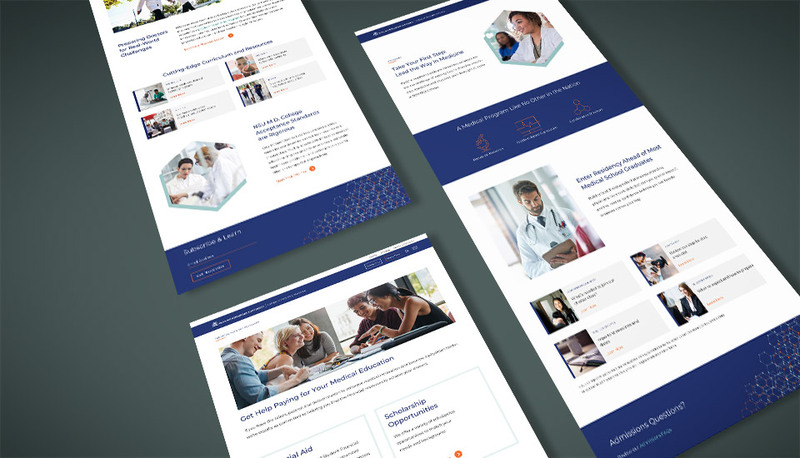 The team conducted in-depth target user experience testing to inform its best-practices recommendations for site structure, organization and layout. The leading-edge, mobile-first design captures the college’s innovative spark, while infusing the friendly warmth of its South Florida locale. The copy is short, compelling and audience-friendly, sharing NSU MD’s differentiating benefits and offering easy pathways to deeper detail.